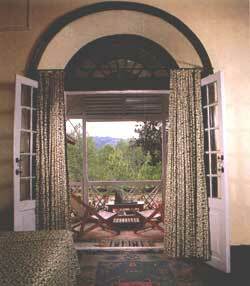 It is 26 km from Ranikhet and overlooks the incomparable Himalayas. Scouting camps are often held here and Syahi Devi peak and temple is just 3 km away. 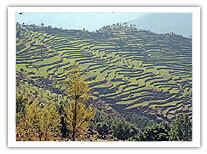 The area round Ranikhet is a horticultural belt and apple orchards are found located in the Ramgarh, Mukteshwar belt . Other fruits grown here include peach, pears, apricot, and strawberry. Lichi is also grown in many parts. A number of floriculture farms have also come up. Mall Road The most popular activity is walking up and down the Mall watching the activity and shopping. There are magnificent views of the snow clad Himalayas and some of the peaks that can be seen include the 7817 metre high Nanda Devi. 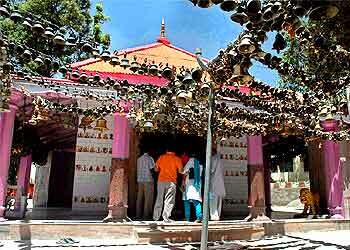 Sheetla Devi, It is 26 km from Ranikhet and overlooks the incomparable Himalayas. Scouting camps are often held here and Syahi Devi peak and temple is just 3 km away. Chaubatia Garden- This garden is famous for its delicious apples through out India and abroad. Ranikhet is the place which wonderfully mirrors best of the heavenly Himalayas; their lush green forest, magestic mountains delicate plant life and attractive plant life. 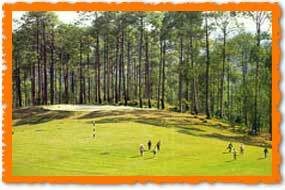 To view nature and its elements in full harmony the right place is to be is Ranikhet. 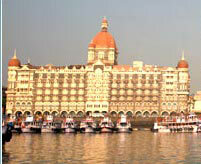 According to the popular belief this place had won the heart of Rani Padmini, queen of Raja Sudhardev. She chose this scenic to be her adobe and since than it has come to be known as Ranikhet, literally QUEENS Feild.At an altitude of 1829 mtrs above sea level,this hill resort is undoubtedly a tourists paradise. The scented mountain breeze, fresh and pure, the singing birds,the panoramic view of Himalayas the sight sound and smell leave the onlooker spell bound, during the rain, flowers sprout up every where in rainbow colour, branches of tree spout up with ripend fruits and sun light peeping through the mist and clouds endow an enchanting effect all accross the Ranikhet. As winters come ,the softly falling snow flakes covers the environment in sheet of pure whiteness. The charm of every season is irresistable in its own right. And this is what makes Ranikhet an all season destination. Discover Kumaon takes you to the following places ideal for picnic as well us pilgrimage. It is popularly known as orchard country for its fruits and government gardens. It commands a picturesque view of the Himalayas. 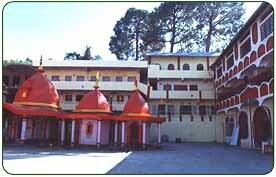 7 kms from Ranikhet on the Ram Mandir route to Chaubatia.it is known for temples devoted to the Goddess Durga and Lord Rama. This temple is attached to the Narsingh Maidan. This ancient temple has been built by the Kumaon regiment. Opposite is a Gurudwara and a Shawal factory. 3 kms away from chaubatia garden, a small artificial lake and a popular picnic spot. 8 kms from here and is well known for its Gandhi Ashram to commemorate the spot where Gandhiji stayed. 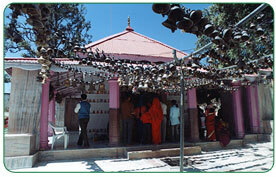 The Golla temple here is venerated in the Kumaon region. 1 kms golf maidan, known for its forest nursury and a temple dedicated to the Goddess Kali. Sitlakhet is a scenic spot commanding a view of magestic Himalayas. The near by forest abounds in fruit orchards and herbal plants used in medicienes.Just about 10 kms from Sitlakhet is the famous temple of Syahi Devi. Nearby is the natural spring where the first water scheme for Almora initiated some seventy years ago. Just two kilometers below Sitlakhet is the village Khoont' which is the ancestral village of the late Pandit Govind Ballabh Pant, the famous freedom fighter of India.